Ready to teach online? And sell your courses? Welcome to online marketing. Your website doesn't have to be elaborate and you don't need to spend thousands of dollars getting it create. WordPress is my top choice for setting up a simple website, but–if you just can't go there tech-wise–then use the drag-and-drop ease of the tool Squarespace. Home page: where you make clear who you are and what you offer and present an opt-in to your email list. Blog page: where you share your weekly free content. Even if you're not writing blog posts, you can share other content here, like podcast episodes or videos. About page: where you let people know what you can do for them and why you're qualified to do it. Contact page: where people can get in touch with you. To run an online business, you'll need to start collecting email addresses and building an email list. The people on that list have invited you into their email inbox. They want to hear from you, and this will be an essential tool for selling your online course. You'll use a tool that lets you comply with can-spam laws as you collect email address and that includes automation tools for segmenting you list and sending offers based on actions your list members take. marketing. My top recommendations for my students are ActiveCampaign, Drip, and ConvertKit. You'll need to create something you can give to people in exchange for their email address: a “lead magnet.” This should be a resource that can be used immediately and yield quick results. Don't lolligag on this. Make a first lead magnet, get your email service, and plow on through the tech of getting the form to collect email addresses set up on your website. 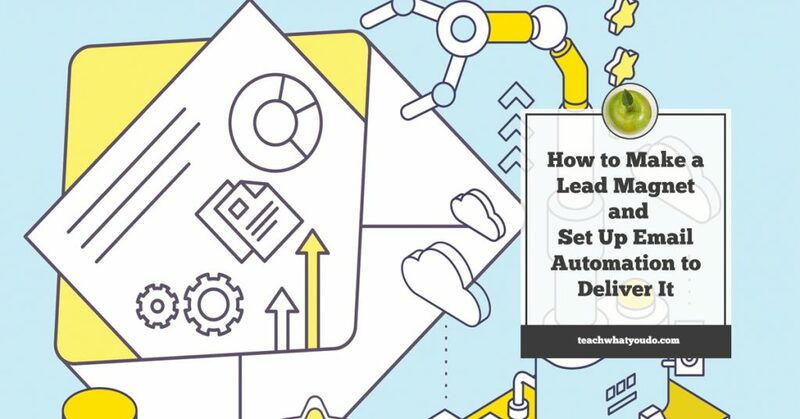 See my past blog post that digs into more detail on this: How to Make a Lead Magnet and Set Up Email Automation to Deliver It. In addition to creating your course content–and, in fact, BEFORE the creation of your course content, you'll need to create free weekly content. This could be weekly blog posts, short recorded videos, live video sessions, or podcasts. 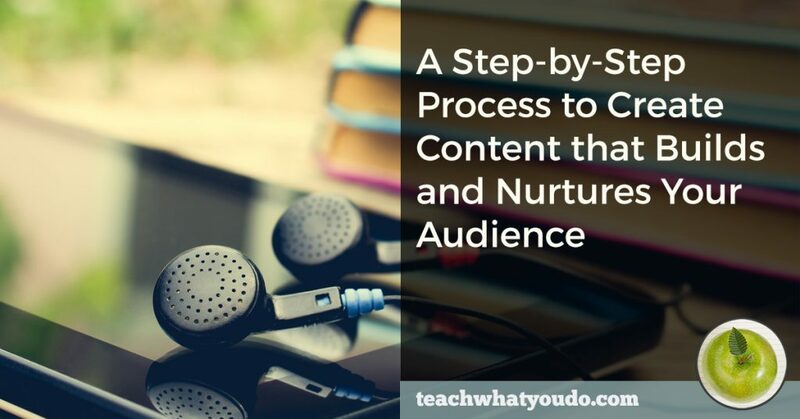 Weekly content that delivers value will attract and build your audience of potential students. It will also build your authority by its content and its consistency. You're showing up, and you're showing that you're here for the long run. Are you ready to get these three essential online business assets created? 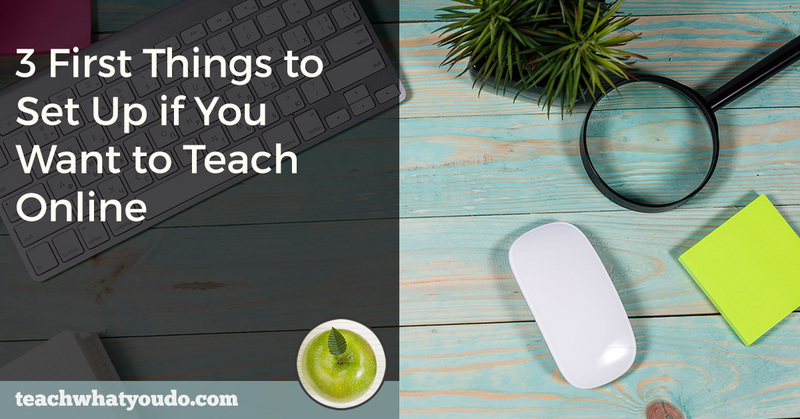 Want more direction on how to get started teaching online? 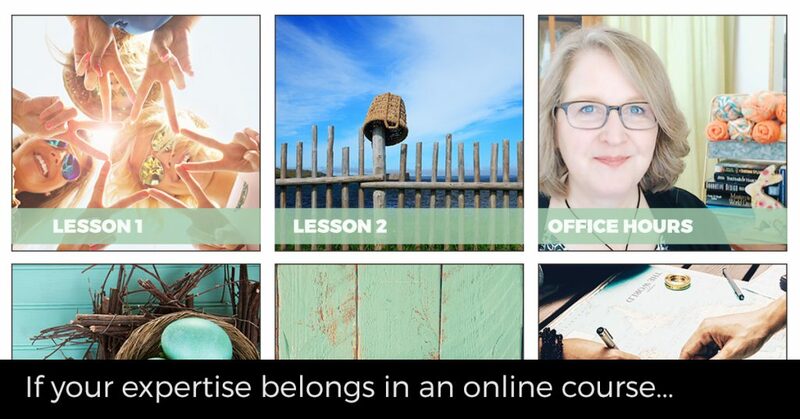 If you're looking for more direction on how to get started teaching online, grab a seat in my free class, “The 3 Must-Have Strategies for Making a Profitable Online Course.” Click here or on the image below.